"Response to the Risen Lord: Through study and commitment." Part of the VIM program was a "Year of Study of Christian Mission" in order to identify the mission opportunities throughout the church and how members would be able to contribute and participate. 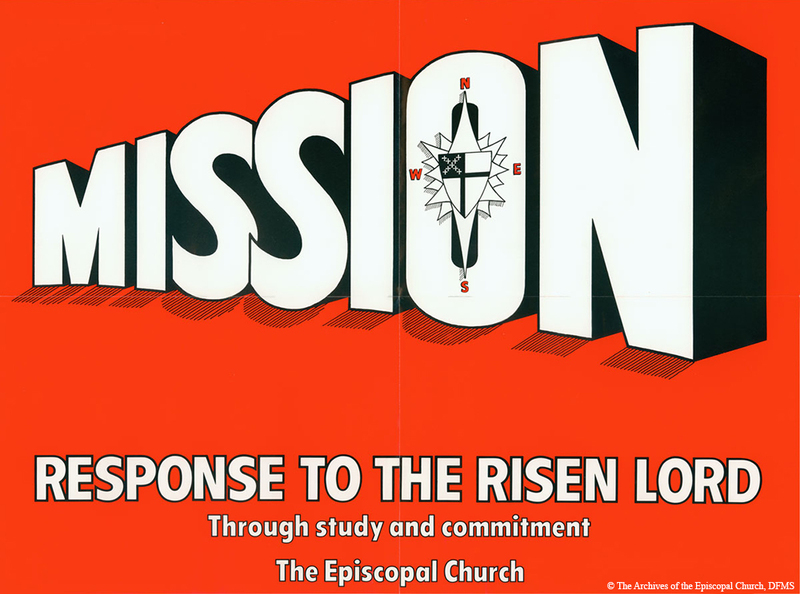 “VIM Poster MISSION: Response To The Risen Lord,” Venture In Ministry: John Maury Allin, accessed April 19, 2019, https://www.episcopalarchives.org/jma-presiding-bishop/items/show/48.